Shared ownership is a great way to get a stake in a property when you can’t afford or can’t borrow enough to buy outright on the open market. There are however common complaints from people in shared ownership schemes. This guide points to the pitfalls you’ll want to avoid. Shared ownership schemes allow buyers who meet the eligibility criteria to secure a mortgage to buy a stake (usually between 25% and 75%) in a property, while paying rent on the remaining share to the housing association or private developer that own the building. The rent you pay on the remaining share is charged at a discounted rate. The properties are usually leasehold properties and you therefore have to pay a monthly service charge as well as contribute to major maintenance works. With shared ownership, it is possible to buy more of the home by “staircasing” i.e. increasing your share. Shares can be bought in 10% increments, which will in turn reduce your rent. 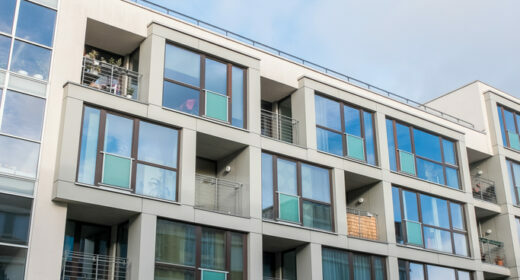 Shared ownership schemes are provided by housing associations or private developers. The details, costs and restrictions involved vary by provider so research each one on its individual merits and read the small print of your lease. In the 2018 Budget, the government announced that first-time buyers would be exempt from paying stamp duty if their shared ownership property is worth up to £500,000 – and this is back-dated to 22 November, 2017. This means that any first-time buyers that have paid stamp duty on an eligible shared ownership property after 22 November, 2017, can apply for a refund. If you’re eligible for a stamp duty refund, you need to contact HMRC in writing. Make sure you do this by the deadline of October 28, 2019. In your letter, you should provide details of your purchase and share the UTRN, which is the unique reference number on the original stamp duty return. What are the downsides to shared ownership? Hopefully the monthly mortgage repayments, plus rent will still make shared ownership far cheaper than buying a property outright. But don’t forget to add on maintenance charges and be prepared for possible increases in the future. As well as a general monthly service charge for caretaking and maintenance of communal areas, ask how you will be expected to pay for more significant works e.g. for roof maintenance. Be aware that even though you own a share of the property, say 30%, you are responsible for paying the full maintenance and repair costs. There are also likely to be restrictions on whether you can rent the property out. In the great majority of cases, sub-letting is not allowed. Valuation fee – your housing provider will instruct a surveyor to confirm the current market value of the property. Stamp duty – if you’re not eligible for first-time buyers relief, there are two ways to pay. The first involves one-off payment in advance based on market value of the property and the second is by paying in stages. You will need to calculate the best option for you. Mortgage fees – If you are applying to change lenders to buy your additional share or to access better interest rates you will need to pay the lenders valuation fee and a mortgage arrangement fee, plus any penalty your existing lender may charge for terminating your mortgage with them. Check with your housing provider whether there are any restrictions when it comes to buying up a greater share in your property e.g. Will you be able to staircase to 100% outright ownership or is there an upper limit? Can you start staircasing immediately? What are the maximum number of times you can staircase? What’s the minimum share you can buy at any one time? You can find out more with our guide to staircasing your shared ownership home. Check for restrictions within your lease. You are likely to be required to ask the housing provider’s permission in writing before you make any structural alterations to your home. In some cases the lease will require you to ask permission for redecorating as well. Buying a new build property – whether through shared ownership or on the open market – is more likely to make sense if you expect to stay put for a number of years. This is because new-build properties include an extra premium on the sale price that, like a new car, depreciates as soon as you move in. If house prices fall, you may fall into negative equity and lose money if you try to move. To avoid the risk of feeling trapped in the event of negative equity, be honest about the properties you are looking at. Is there enough storage? Are you expecting to start a family in the next few years? Does your furniture fit in the rooms? When you are ready to sell your home, the process is not straightforward and can stall your progress on to the next rung of the property ladder. First of all, the housing provider is likely to have the right to buy back the property before it is marketed to anyone else (this is called “right of first refusal”), even in some cases if you have purchased 100% of the property through staircasing. This is so your property can be put to other people on the waiting list who are unable to buy on the open market. After a period of time, if your housing provider fails to find a buyer you are free to market your share of the property yourself or using an estate agent. But you will need to find a buyer who fulfils the housing providers eligibility criteria for shared ownership. As not all banks provide shared ownership friendly mortgages, your pool of potential buyers may be reduced. Just because this is a government backed scheme doesn’t mean you get any more protection. Found a property you like? Research the housing provider on-line. See what customers say on forums. Are they satisfied? How well are they maintaining the property and at what cost? What should I do before I apply? The HomeOwners Alliance provides members with guidance on buying, selling and owning their homes. To see how we can help, find out more about the benefits of joining the HomeOwners Alliance. How do I know I’m not paying too much? I would willingly join if any-one could help me, at eighty one overcome the problems of my shared ownership flat being unsaleable. I am currently in touch with the Ombudsman but it seems to me a major problem that no-one is really with. My neighbour, for example died a year ago, the three-quarter ownership is still unsold on the open market and reduced from£362,000 to £265,000. I am worried about finding myself in the same position since, as I understand it, the children will have to continue to pay the community charge along with half-empty conditions. I could send you the correspondence if you wished. I cannot get the CAB to help or advise and cannot afford up to £500 per hour for a solicitor. Even if they knew anything about over fifty-five problems. Which they seem not to. Hello Julie, we’re really sorry to hear that your struggling at the moment. We’re not the right organisation to give you advice on this, but there are places that you can get advice. You could contact The Citizen’s Advice Bureau ( https://www.citizensadvice.org.uk/debt-and-money/debt-solutions/ ). You could also try Step Change (https://www.citizensadvice.org.uk/debt-and-money/debt-solutions/ ) or National Debtline (https://www.nationaldebtline.org/). I have a 50% ownership home. We are struggling finically due to my work cutting on call payments amongst other things. If the worst came to the worst, how would we stand with bankruptcy with a shared ownership house? The only way currently to reduce the amount of rent you pay is to “staricase” – in other words, buy a further share of the property so that you are renting a smaller share of the property. I have a 30% share of the property which has gone up in value. Service charges go up each year and at the end of each year there is an underpayment of £300 on average over 6 years added to my bill. The mortgage lender has charged in excess of 3% over the Bank of England base rate over the nearly 7 year period without ever giving me an opportunity to choose a suitable option. I cannot benefit from any of the increase in equity in my share until i sell all my share. At present i am wondering if there is any association safeguarding the interest of the shhared owner? and is there any way to get the government to legislate for the Housng Association to revalue properties annually and pass on the increase in equity through reduced rent and to clamp ddown on the exhorbitant mortgage rates being charged by the Shared ownership lenders so they issue refunds via the mortgage account not in cash payments. I feel that i have been defrauded by my mortgage lender. Hello Alex and thanks for your question. It helps if you’ve got an offer on your current property because then you know how much you can spend on your next one. There’s no harm in looking at other properties now, but you won’t be in a position to proceed with purchasing your next property until you have an offer on your current home. through the shared ownership scheme. for my current property before I start looking at other properties? Hello Helena, we’d recommend that you contact your Housing Provider to ask them for information on this. Different providers offer different ways of selling your shared ownership property – for example, some offer a Share Sale option only whilst others will offer this and a Back to Back Staircasing and Sale option. The most common option is the Share Sale where you’re offering only your owned percentage for sale and the buyer enters into the same arrangement as you buy renting the remaining share of the property. Hello Alex, is your property leasehold? If so, you’ll still need to pay ground rent and service charges to the freeholder. Check the details of your lease. Why do I still have to pay service charge if I own 100% after shared ownership? Hi Jo, you’ll benefit from the increased value on the share of the property that you purchased. Contact your Housing Provider for information on how it will work in detail on your particular property before you make any decision. I own 50% share of my flat. Since owning for 5 years the value of my property has significantly increased. When I eventually sell my property, will I gain 50% of the increase of the property(as long as it sells for that price), or am I only eligible for the original 50% share that I purchased 5 yrs ago? I’m currently in the process staircasing to 100 % the Housing Association is willing to transfer all the remaining estate and they will no longer have any interest in the property, however, on The Transfer drafted they suggest that they are to retain an interest in the property, and references to “Common Parts & Re-Entry. Two of the neighbours already staircase to 100% already and both “Common Parts & Re-Entry clause was REMOVED they are refusing to do the same for me. No one in The Housing Association will explain to me the reason why the clause is to remain, all I’m getting is we will not change it. If I lived in a flat I can fully understand the clause, but I lived a house. Hello Roger, do ask your daughter to check with the Housing Provider what the process is for staircasing to be sure as different Housing Providers may well have different procedures. But in general terms, Housing Providers ask that the shared owner pays for a RICS valuation to independently determine the value of the property at the time of staircasing. It is possible that the value of the property has fallen and the valuation should reflect this. My daughter is looking to purchase a shared ownership property. Please can you explain what happens if the value of the property goes down, does it make stair casing cheaper? I purchased 50% 24 years ago. I have saved the money to purchase the remaining 50%. However, the landlord. Not the original landlord. The house transferred twice whilst I’ve lived here. They are dragging their heals. I have had to pay for a 2nd valuation because the 1st expired. The 2nd will expire in less than a month. It’s not as if we are negotiating, they just take on average 2 weeks to respond to requests. I am still be charged rent and my conveyancing firm just seem to toddle along with it. It can’t be right that they can drag their heels and i have to keep forking out for it? I have only just received the TP1 as i am requesting the freehold. However, i have asked if they will still expect service charges after the purchase? To be fair, my conveyancing firm aren’t too sharp but its the delays in getting answers. Sorry to bore you…. Hello Quincy and thanks for your question. If you were to become a member, we’d be happy to look into this for you. Alternatively, you might want to contact the Govt’s Stamp Duty Land Tax helpline on 0300 200 3510. Hi, I’m considering buying a shared ownership flat, but I’m a bit concerned f I’ll be able to sell my shares in a few years’ time as my situation might change. If I want to move to a bigger flat, can I purchase the flat earlier than managing to sell the shared ownership? I know if I had a regular residential home, then I’d pay 3% extra stamp duty to own the second home, and will get a stamp duty refund if I sell within 3 years. Is it the same with shared ownership? Hi Marie, sorry to hear that you’re in this situation which isn’t unusual I’m afraid. To be able to help you further we’d need to see the paperwork that your housing association has sent you. This would be a service we provide to members so please do consider taking out a membership with us and we’ll do our best to help you. Thanks Miss Martinez. Being pressured to use the in-house solicitor is a big problem and we agree doesn’t get buyers the independent advice they need from the start. We do have very varied experience of shared ownership from members but a lot of your points are common, particularly around opaque service charges. Please get in touch with us at hello@hoa.org.uk and we can see if we can help. Potential Shared-Ownership buyers DO NOT have access to read or view leases prior to purchasing, therefore regardless of how much background research you do, unless you already know a friend or resident already living at the development, willing to share impartial advice/information, you will never be aware of the full T’s & C’s of Lease until post-purchase.Similarly with the Service Charges costs. housing Associations often generally give prospect buyers unrealistic estimates (exactly my case)to attract and encourage them to purchase. They strongly recommend solicitors which also work jointly with them and are favoured by the Developer, as it reduces the turnaround and they know exactly which critical information NOT to disclose to secure a deal. What’s even worse is they ALL take advantage of the unprivileged socio-economic status of the buyer (who has no other possibilities of getting on the property ladder). In addition to being unrealistic “charges”, owners are quickly placed under huge financial burdens when they discover these developments are run by scrupulous Estate Management Companies who abuse not only Shared Owners positions, but also that of traditional Leaseholders as they know the whole Leasehold system is severely flawed, there is no monitoring by a Regulator, Government or even the Housing Associations involved, of the fees they impose on Residents (I.e: they include huge deficits ranging from £350K due to mismanagement of Estate Budget, discovering flaws in building designs such as the “infamous” Flammable Cladding & consequently adding “Waking Watch” costs, unjustified yearly increases in Service Charges to the point of being triple or cuadruple in amount, just to name a few). Despite Residents reporting this ongoing abuse and initially engaging in dialogue with all parties involved to: Firstly find out the why? Secondly request to see receipts justifying provision of services and provider/maintenance contracts to ascertain if we are really getting “good value for money”, NOBODY wants to listen, NOBODY wants to assume one iota of responsibility, Government DOESN’T intervene or even attempt to change/penalise the abusive behaviours and practices from “Offshore tax-avoiding Freeholders”, Estate Management Companies, Developers, Housing Associations. Families and single individuals are at their financial and emotional wits end because there is NO SOLUTION for them. They are being held hostages in their properties, which are now an unsellable and unsafe product, additionally in danger of negative equity, while still having to survive on unsavoury salaries and feed themselves (basically survive). This NEEDS to stop!!! No Tania, it will remain a leasehold property. You will own 100% of the leasehold. after purchasing the whole 100% of the shared ownership property, does this make the house freehold? We are currently trying to get out if this scheme but our housing assosiation have wanted 3months before we are able to go to estate agent. Also we didnt hear anything from our housing assosiation which were clarion. Hi Glenn, it’s not possible for us to answer this question. It’s best posed to the Housing Association, and if you have a conveyancer, ask them to check this out for you. I am currently in the process of buying a 50% share in a property. I was concerned with the rent on the other half of the property. Does the housing association have the right to sell their share of the property to a third party, then increasing the rent? Hi Annette, we’d suggest you contact your local Citizen’s Advice Bureau for advice on housing benefit. We are in a shared ownership which we own 10% of. We are worried that if my husband comes out of work, will the government pay our rent as we have no savings. This has become a bit scary because of rumours at work. hi …currently buying a 50|% shared ownership with a private housing company – currently selling a flat – sold subject to contract – heaven forbid anything goes wrong…but if the flat fell through would we if able to raise the money of the share out of desperation..be able to continue with the purchase?? ?…house is new build and we have completed reservation etc..
I’m thinking of buying a share of the HA house I’ve lived in for the last 35 years, under the Social Homebuy scheme. I would really like to talk to a solicitor about the pros and cons of this, particularly one who is familiar with the downside of SO/SH. Knowledge of inheritance tax would be also very useful. Can you recommend anyone? valuable brief on shared ownership. i wish to feedback on shared ownership with no rental for 55+ groups where for economic reasons have had to sell their properties resulting in falling between the cracks as they do not fall in the poverty bracket but unable to obtain a mortgage but may be able to use the balance from the sale of the property. however some of which has been used towards rental in the meantime resulting in being forced into shared housng and in depletion of this money after a number of years. What happens at this point especially as around this vulnerable age to end of life it is difficult to manage maintenance costs and council tax which are excluded from service charges. Pensions have depreciated. can one get support as is from a rental perspective? Hi Tim, mortgage arrangement fees can vary from zero to as much as £2,000 but a typical arrangement fee now is perhaps £999. My daughter is about to purchase a 30% share and I am interested in the difference between going through a broker for the load and and using a lender direct. Arrangement fee is £1000.00 Is this normal ? I have just been to view a share to buy resale with Notting hill housing association in London. The sellers of their 50% are obliged to sell their share through the housing association- to which they take 1% of the sale value for doing so. This particular seller was due payout 25000 for the commission! Interesting. I purchased my house (50%) via Shared Ownership. I have maintained the property the best I can. The crux being is that the house was not on a HA street. What exactly am I paying a service charge for? Apart from a yearly statement and correspondence informing me of increase in rental and service charge I have heard NOTHING from the HA. They obviously don’t maintain the street, nor the lighting, nor anything else for that matter. Quite apart from the service charge I am also charged a small monthly sum for buildings insurance! My shared ownership property was destroyed inva fire on the 30th April 2016. Currently still not fixed. My Housing association expects me to pay rent in this. Can I be expected to pay rent for a flat that I have not been able to inhabit?